The scissor platform series TOP19 and TOP24 provide a full-value 4×4 concept with real off-road capability compared to conventional approaches. Thanks to a permanent swing axle in front and two auto-levelling rear axles, the four wheels are on the ground at all time. Surface irregularities are compensated automatically within seconds and the machine can be raised 100% vertical. 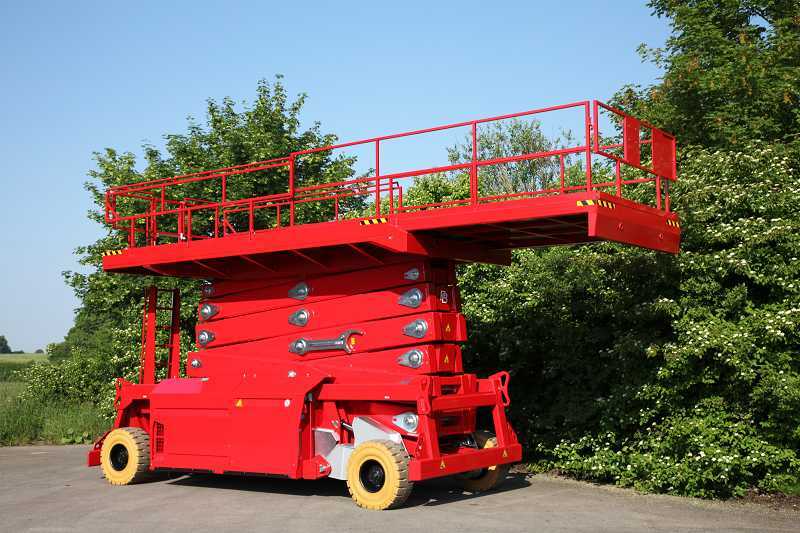 The 4×4 Series provides working heights from 13 to 27.25 meters and either a 48 V battery or a diesel drive can be selected. With a nominal gear unit torque of up to 5,500 Nm and a differential lock, strong propulsion and more than 30% gradeability can be ensured. All 4×4 models are suited for indoor and outdoor deployment. The steering angle of up to 90° ensures extreme manoeuvrability with a minimum turning radius. The 4×4 Series offers compact dimensions and a large platform: the MEGADECK of the flagship model S270-24E has a working area of 7,98 x 2,4 m ! Therefore it is ideal for extensive facades- installation- or electrical works. 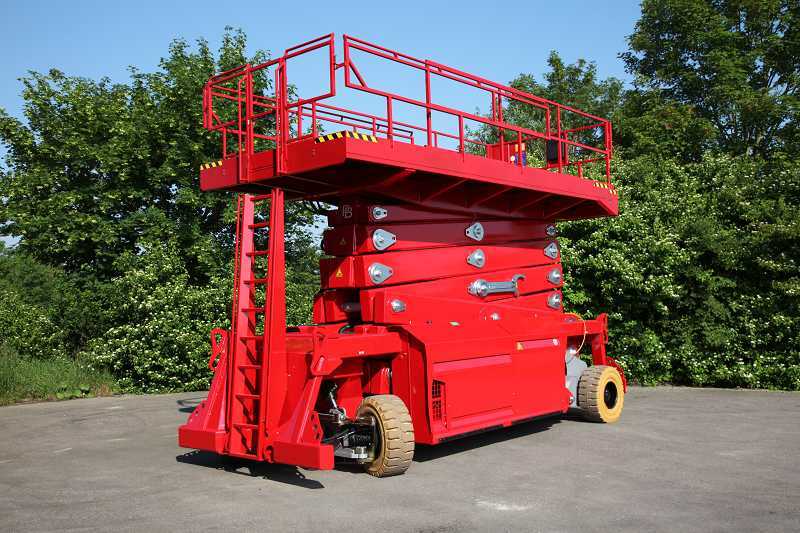 Combined with its lifting capacity of one ton, this unit offers a huge space and power for 4 persons, material and tools.